Trying to improve the comfort of your Visalia, California area home but also save money on heating and cooling? If so, you might be interested in the benefits of foam insulation. You have two main types to choose from: rigid foam (polystyrene) and spray foam (polyurethane). These two materials sound similar, but they have their differences! Learn more about your options to help you make an informed decision. Spray foam is the best type of insulation for reducing air leaks. It foams in place, allowing you to fill every nook and cranny. This makes spray foam ideal for oddly shaped spaces and filling gaps around floor and wall penetrations. However, because spray foam must be mixed on site and applied while wearing special protective clothing, you must leave installation to the professionals. Although polystyrene insulation (rigid foam) is often installed during new construction, there are sometimes exceptions for retrofit projects. 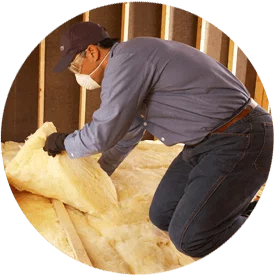 For help choosing between polystyrene rigid foam and polyurethane spray foam, and then installing the insulation, contact Broken Drum Insulation of Visalia!